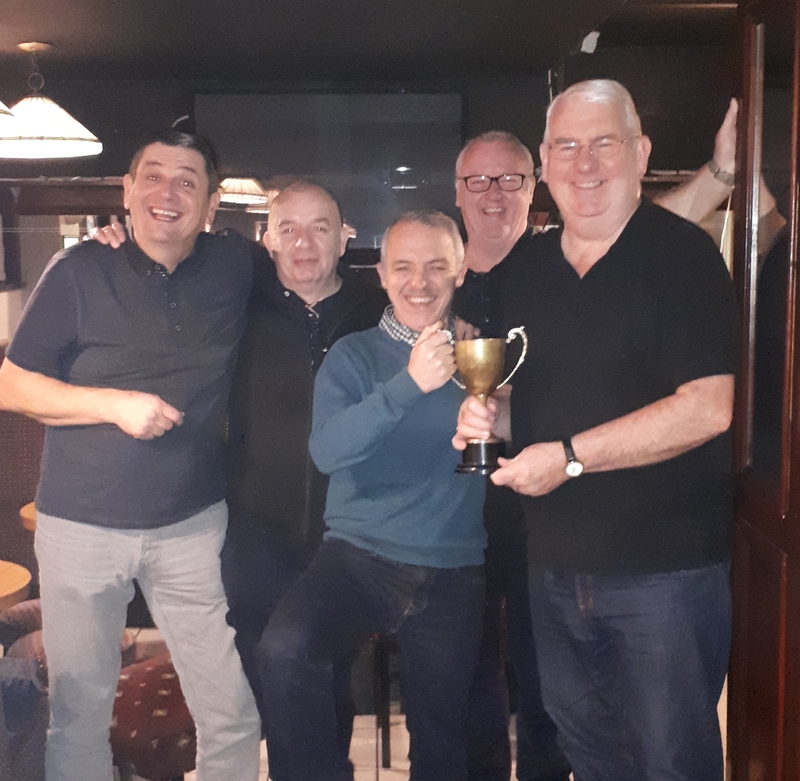 CONGRATULATIONS TO THE SUCCESSFUL CASEMENT A TEAM ON WINNING THE JOHN CASEY 5-A-SIDES CUP WHICH WAS HELD IN THE HIBS CLUBROOMS. THE TEAM COMPRISING OF GERRY MCCORMICK,PAUL CONDON HENRY MCCANN, VINTY LENZI AND CIARAN MCCAY BATTLED THEIR WAY TO THE FINAL WITH TOUGH MATCHES, FIRSTLY AGAINST DONEGAL CELTIC, THEN CLONARD HIBS AND EVENTUALLY THE FINAL AGAINST CRUMLIN STAR. CONGRATULATIONS.